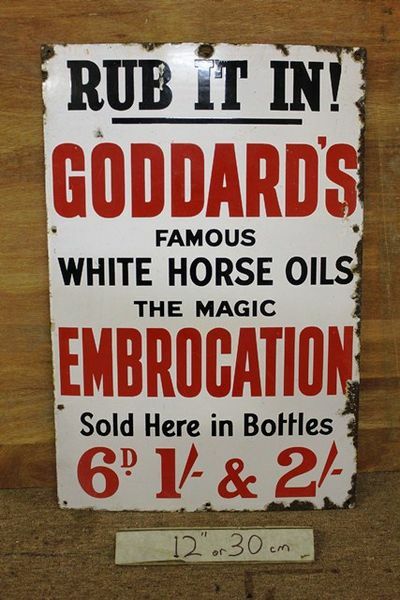 Early Goddards Horse Oil Advertising Enamel Sign. Unique + Early Goddards Horse Oil Advertising Enamel Sign. Very good original Antique Enamel Sign. 51cm x 77cm.